If you cannot get enough ruffles, bows, and glitter, get started here. You'll know you made the right selection when your babes insist on wearing that costume to bed every night! Costume Gallery and A Wish Come True: Both of these costume catalog companies offer a wide variety of adorable looks, perfect for young beginners. Broadway Babe: Whether you are looking for a holiday or classic fairytale look that is more than ‘girly’, the goal of this company is to make sure your dancer feels like a ‘star’. If looking fashion forward and on-trend is essential, these top picks set the trends for lyrical, contemporary and modern dance costumes! Kellé Company: Their motto is 'Fresh, innovative costumes for passionate dancers,' and very evident in their dance catalog which is highly styled to feel like a fashion magazine. Reverence Dance: All their looks can be viewed online, including a flip book with stylized images of their costumes. Contours Designed: Is it possible to take a classic look and make it feel edgy? Countours Designed knows how to pull this off! Triple Threat: Their specialty is ‘cutting edge’ for the mature performer. All of their highly thematic styles with dramatic backdrops can be viewed in their catalog or by individual item online. I WANT ... Lots of Variety, All in One Place. Cicci Dance: This company has been in business for over 50 years and has everything for the first time performer to team apparel for the experienced dancer. Weissman: With over 400 styles to choose from, you are sure to find something in their extensive dance catalog! Costume Gallery and A Wish Come True: Both these vendors have large catalogs and expansive collections backed by years of experience in the industry. Cannot find what you want? With the right budget and enough time, creating a custom dance costume is the ideal solution for a making look of your own! 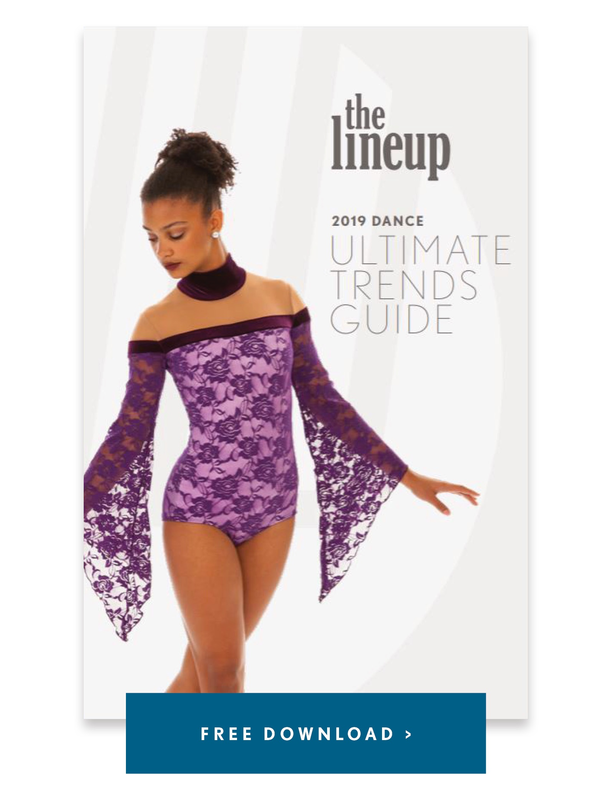 DA Designs Dancewear and Show Off Inc.: For over 30 years, both of these companies have been creating custom looks for dance, cheer, colorguard and professional dancers. Satin Stitches and Pumpers: You can either create a look of your own from scratch, or customize an existing style with their new web options. Art Stone / The Competitor: This dance catalog was founded in 1960, where you will find traditional designs ranging from classic to theatrical. Class Act Tutu: Mix and match separates for a classic ballet look. Choose tops, leotards, skirts, and tutus (of course!) in over 60 colors with a wide range of sizes. Just for Kix: This company is known for their camps and classes, but check out their catalog and online store for a wide array of in-stock products. Discount Dance Supply: If you are looking for shoes, leotards, tops, short or a skirt, there is plenty to pick from on their website. And as their name implies - all at discount prices. Curtain Call for Class: This costume company compliments their performance line with a website for dance basics and classroom apparel. Satin Stitches and Show-Off Inc.: Both companies have over 30 years of experience in creating custom patterns and offer custom fit services. GTM Sportswear: GTM offers a wide selection of budget friendly styles for all kinds of sports and activities. Visit their website to mock-up a your team's apparel in their online virtual design tool. Mee Sports: Their specialty is custom sublimation printing with over 150 styles to choose from. They offer warmups, team jackets, custom uniforms and practice wear that can easily go between studio, cheer, and dance. Move U: This company is owned and operated by Just for Kix and features custom team apparel - their sublimated leggings are the most innovative and impressive of their lineup. Nappy Tabs: Napoleon and Tabitha Dumo have been a leader in the the hip hop dance world, providing choreography and urban streetwear designed for the creative minds since 2003. Zumiez: For a wide range of brands in women, men and child sizes, shop this streetwear website for apparle fit for skaters, hip hop dancers, and casual steet style. Angela King Designs: Owner Angela King knows NFL - she was a former cheerleader and coach for the San Francisco 49er ‘Gold Rush’ Cheerleaders. Their specialty is custom designs for professional cheer and dance teams, but they do have a few made-to-order web styles to choose from as well. Dallaswear Uniforms: Shop their website for a variety of audition and tryout styles. Options include selecting your fabric and style from an existing design or requesting a custom design. Algy: A family owned business that has been making costumes for 75 years. Dansco: For fresh styles at affordable prices. Hopefully this comprehensive list of leading dance costume companies will make your vendor selection a breeze! If you are clear about your costume goals, narrowing down you options will be that much easier. So, what's your preferred dance costume vendor?